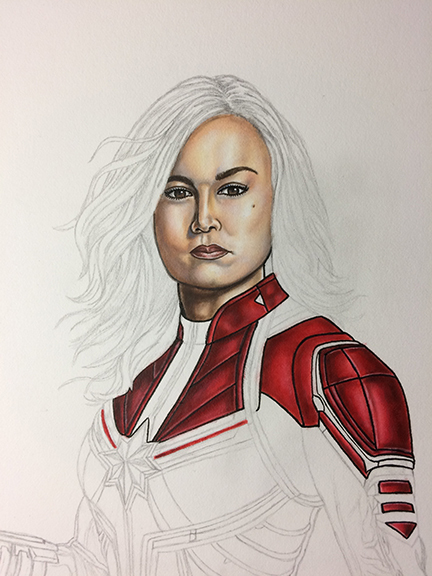 Captain Marvel donation art painting stage 02 for the PADRE Foundation Fashion Show silent auction happening Saturday, May 11, 2019. Moving to to rendering the red sections of the painting. This stage was rendered with Faber-Castell PITT artist pens and Liquitex paint.